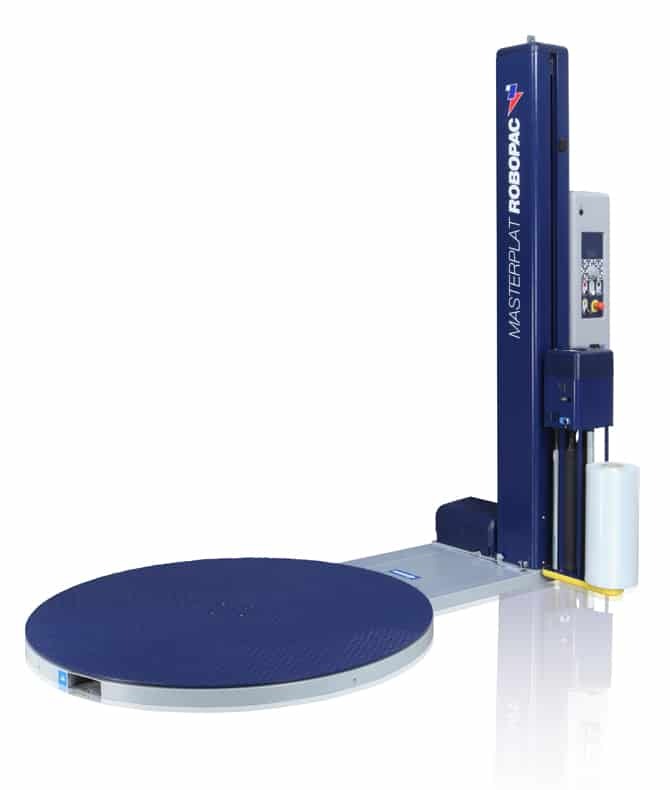 Masterplats which are the latest range of Turntable Pallet Wrappers from Robopac. Designed using the best features from the Ecoplats with the performance of the Rotoplats. The graphics on the new control panel, with icon selection by using the jog push button, are clear and easy to understand. 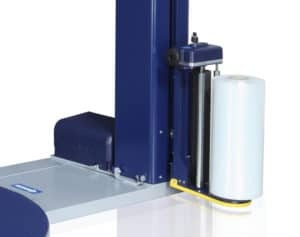 The machine can be used in Easy or Advanced mode and has “parental control” to stop unwanted altering of settings. When in advanced mode this machine has 3 programs that can be pre-set and locked. Plate diameter (mm) 1650 std. 1800 opt. Max load weight (kg) 2000 std. 2500 opt. Maximum pallet dimensions (LxW) (mm) 1000×1200 std. 1200×1200 opt. 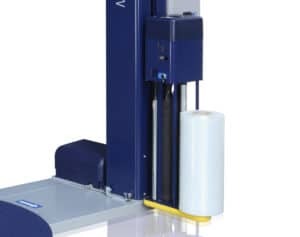 Maximum product height (mm) 2200 std. 2400/2800/3100 opt.